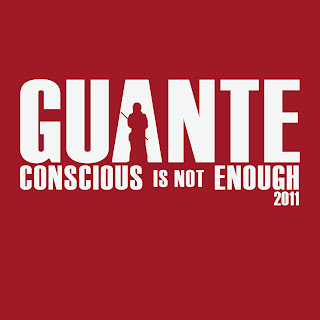 In 2008, Guante released “Conscious is Not Enough,” a collection of songs written around the idea that while voting in the 2008 election was important, coming together as a community and organizing for change was more important. While hip hop albums—much less mixtapes—don’t generally have thesis statements, CINE was a progressive call-to-arms, a rallying cry for those who believe that hope and change aren’t things you vote for—they’re things you work for. With the recent turmoil in Guante’s home-state of Wisconsin, revolutions sweeping the Middle East and an assortment of battles taking place in Guante’s current home, the Twin Cities, rising indie label Tru Ruts/Speakeasy Records is releasing an updated, re-recorded and re-mixed version of the mixtape. Featuring original production from the likes of Big Cats! (Sage Francis, the Tribe), DJ Pain 1 (Young Jeezy, Chuck D), Calvin Valentine (Planet Asia, Phil da Agony) and others, plus a few jacked beats (including the crowd-favorite “Your Boyfriend’s a Republican” performed over the instrumental to Amy Winehouse’s “You Know I’m No Good”), the mixtape is tied together by Guante’s relentless wit, political insight, technical virtuosity and pure, uncut passion for the subject matter. It’s also proof positive that political hip hop can have a sense of humor, and that smart rappers can also be entertaining. The mixtape also serves as the official announcement of the MN Activist Project, a database of progressive activist organizations that Guante has pulled together. That database (www.mnactivist.com) will be tied to a promotional campaign aimed at getting more people involved in activism and organizing. The site also includes toolkits and resources for young activists. 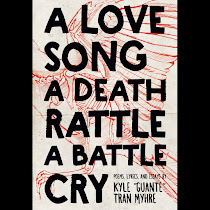 Guante, a two-time National Poetry Slam champion, former City Pages’ “Best of the Twin Cities” artist and URB Magazine “Next 1000” artist, is a long-time social justice advocate. His work includes curating the “Hip Hop Against Homophobia” concert series, leading writing and social justice workshops in schools throughout the Midwest and serving as arts coordinator of the Canvas, a teen art center in St. Paul. Also, check out this essay I wrote on what I think makes effective political art.